Looking for the perfect family gift? This 5×7 Brother and Sister Picture frame holds either a 4×6 photo that you can tape directly onto the wood mat or a cropped 5×7 photo that you can just set inside the frame; no tape necessary. 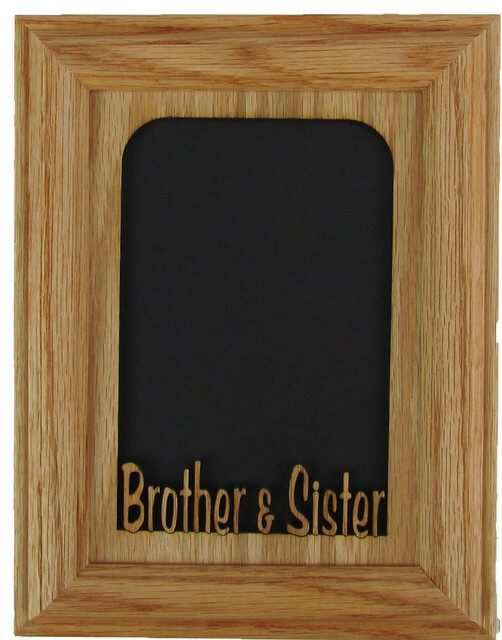 This handmade 5×7 oak wood frame comes with an easel back, Brother and Sister Matte and glass. Perfect gift for any Holiday or special occasion!